Non-small cell lung cancer (NSCLC) is the most common type of lung cancer and usually grows and spreads more slowly than small cell lung cancer. Lung cancer is by far the leading cause of cancer death among both men and women. Each year, more people die of lung cancer than of colon, breast, and prostate cancers combined. The American Cancer Society’s most recent estimates for lung cancer in the United States for 2012 reveal that about 226,160 new cases of lung cancer will be diagnosed (116,470 in men and 109,690 in women), and there will be an estimated 160,340 deaths from lung cancer (87,750 in men and 72,590 among women), accounting for about 28% of all cancer deaths. 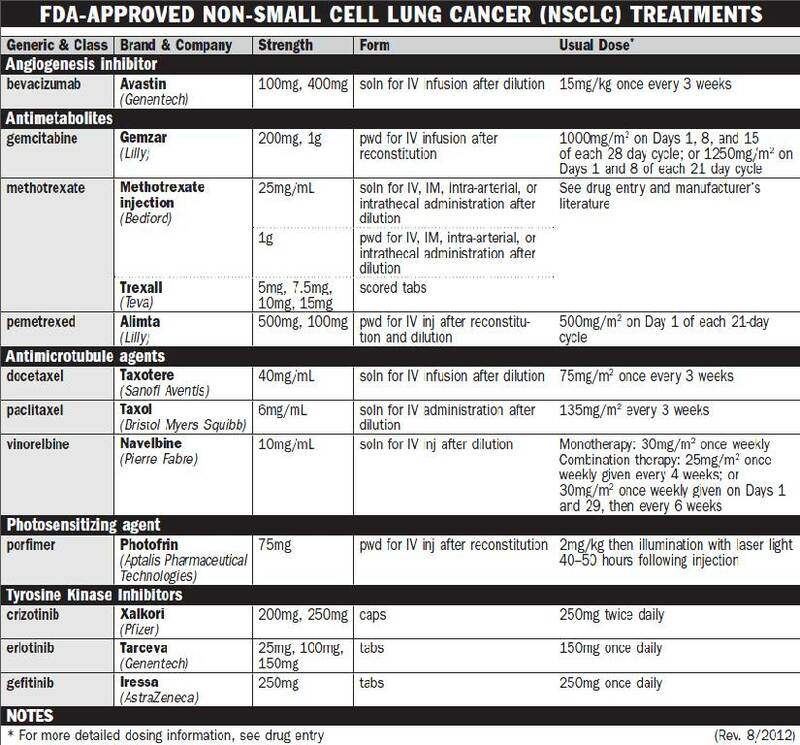 Different types of treatments are available for non-small cell lung cancer. Treatment depends on the stage of the cancer. 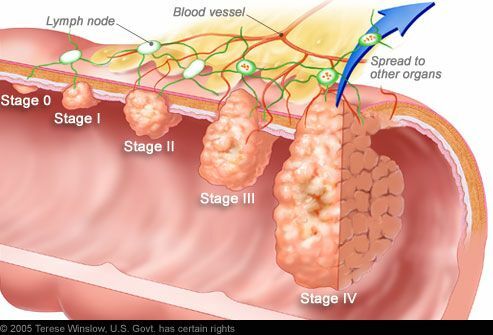 For patients in whom the cancer has not spread to nearby lymph nodes are recommended surgery. Surgeon may remove- one of the lobes (lobectomy), only a small portion of the lung (wedge removal), or the entire lung (pneumonectomy). Some patients require chemotherapy that uses drugs to kill cancer cells and stop new cells from growing. Although, a whole list of agents is available for the treatment of NSCLC, the market for NSCLC drugs is expected to expand from $4.2 billion in 2010 to $5.4 billion in 2020 in the United States, France, Germany, Italy, Spain, the United Kingdom and Japan. However, drug sales for metastatic/advanced squamous cell non-small-cell lung cancer, which comprises only a small fraction of the market, will decrease from nearly 17 percent in 2010 to approximately 13 percent in 2020. According to surveyed U.S. oncologists and MCO pharmacy directors, increasing overall survival is one of the greatest unmet needs in first-line advanced squamous non-small-cell lung cancer. In 2009, antimetabolites dominated the NSCLC market, with Eli Lilly’s Alimta (Pemetrexed) accounting for nearly three-quarters of sales within this drug class. Since then, Alimta has faced tough competition from a number of similar drugs and from emerging therapies. It was speculated that the antimetabolites market share would reduce significantly making it the second-largest drug class in NSCLC, while the epidermal growth factor receptor (EGFR) inhibitor class will garner the top market share by 2019. Genentech/OSI Pharmaceuticals/Roche/Chugai Pharmaceutical’s Tarceva belongs to the EGFR inhibitor class, and has been prescribed principally along with Eli Lilly’s Alimta, to NSCLC patients.Both these drugs have dominated the NSCLC market till 2010, however, their market hold is expected to weaken from 2015-2020, as claimed by Decision Resources Analyst Karen Pomeranz, Ph.D. Decision Resources is a research and advisory firms for pharmaceutical and healthcare issues. Mechanism of Action: Tarceva, a small molecule quinazoline, directly and reversibly inhibits the epidermal growth factor receptor (EGFr) tyrosine kinase. Detailed information on how it works could be found at the Macmillian Cancer support website. May, 2012 sales of Tarceva in the US have been reported to be around $564.2 million. In a recent article published by Vergnenègre et al in the Clinicoeconomic Outcomes Research journal (2012), cross-market cost-effectiveness of Erlotinib was analyzed. The study aimed at estimating the incremental cost-effectiveness of Erlotinib (150 mg/day) versus best supportive care when used as first-line maintenance therapy for patients with locally advanced or metastatic NSCLC and stable disease. It was determined that treatment with erlotinib in first-line maintenance resulted in a mean life expectancy of 1.39 years in all countries, compared with a mean 1.11 years with best supportive care, which represents 0.28 life-years (3.4 life-months) gained with erlotinib versus best supportive care. According to the authors analysis, there was a gain in the costs per-life year as $50,882, $60,025, and $35,669 in France, Germany, and Italy, respectively. Hence, on the basis of the study it was concluded that Erlotinib is a cost-effective treatment option when used as first-line maintenance therapy for locally advanced or metastatic NSCLC. Bevacizumab is a recombinant humanized Mab antagonist of vascular endothelial growth factor A (VEGFA) acting as an angiogenesis inhibitor. Avastin is the only currently approved VEGF inhibitor that selectively targets VEGF-A. Three other approved oral drugs, pazopanib (Votrient; GlaxoSmithKline), sunitinib (Sutent; Pfizer) and sorafenib (Nexavar; Onyx Pharmaceuticals) are orally available multi-targeted receptor tyrosine kinase inhibitors that include VEGF receptors among their tar­gets. As of May, 2012, sales of Avastin in the US have been reported to be around $2.66 billion. PF-299804 is an orally available irreversible pan-HEr tyrosine kinase inhibitor. Dacomitinib is a promising new drug on the market. Phase III trials are ongoing for advanced and refractory NSCLC, locally advanced or metastatic NSCLC and the EGFr mutation containing locally advanced or metastatic NSCLC in several countries including those in Europe, Asia, and America. Dacomitinib bests Erlotinib in advanced NSCLC: Comparison of its Progression-Free Survival (PFS) with the NSCLC marketed drug, Erlotinib. In September of 2012, a study was published by Ramalingam et al in the Journal of Clinical Oncology, which was a randomized open-label trial comparing dacomitinib with erlotinib in patients with advanced NSCLC. On the basis of the study it was concluded that dacomitinib demonstrated significantly improved progression-free survival (PFS*) as compared to erlotinib, with a certain degree of toxicity. Median PFS was significantly greater with Dacomitinib than Erlotinib, at 2.86 versus 1.91. Mean duration of response was 16.56 months for dacomitinib and 9.23 months for erlotinib. Median PFS was 2.21 months and 1.68 months, in patients with KRAS wild-type/EGFR wild-type tumors. PFS was significantly better in the molecular subgroups harboring a mutant EGFR genotype. The study also highlighted the side effects which might be more of concern and probably limiting for Dacomitinib. were more common and tended to be more severe with Dacomitinib as compared to Tarceva. Therefore, for patients for whom side effects of Tarceva seem challenging might face more difficulty with Dacomitinib treatment. Nonetheless, the results of PFS were promising enough and provide a greater efficacy in several clinical and molecular subgroups targeting a larger population than Tarceva. Authors, thus, suggested a larger, randomized phase III trial with the same design. Based on positive performance of Dacomitinib published in research studies, Pfizer has entered into a collaborative development agreement with the SFJ Pharmaceuticals Group to conduct a phase III clinical trial across multiple sites in Asia and Europe, to evaluate dacomitinib (PF-00299804) as a first line treatment in patients with locally advanced or metastatic non-small cell lung cancer (nsclc) with activating mutations in the epidermal growth factor receptor (EGFr). Under the terms of the agreement, SFJ will provide the funding and clinical development supervision to generate the clinical data necessary to support a registration dossier on Dacomitinib for marketing authorization by regulatory authorities for this indication. If approved for this indication, SFJ will be eligible to receive milestone and earn-out payments. *PFS or Progression-free survival is defined as the length of time during and after the treatment of as disease, such as cancer, that a patient lives with the disease but it does not get worse. In a clinical trial, measuring the progression-free survival is one way to see how well a new treatment works. Lung cancer statistics from Cancer.org. Recently, another drug PF-02341066 (crizotinib), was tested on patients with non-small cell lung cancer and the results were published in New England Journal of Medicine (2013). Crizotinib is an orally available aminopyridine-based inhibitor of the) and the c-Met/hepatocyte growth factor receptor (HGFR). 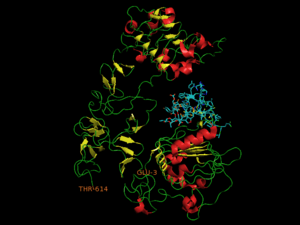 Crizotinib, in an ATP-competitive manner, binds to and inhibits ALK kinase and ALK fusion proteins. 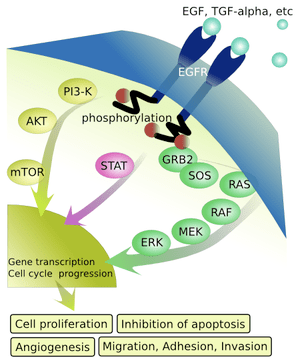 In addition, crizotinib inhibits c-Met kinase, and disrupts the c-Met signaling pathway. Altogether, this agent inhibits tumor cell growth. Shaw and colleagues (2013) investigated whether crizotinib is superior to standard chemotherapy with respect to efficacy. 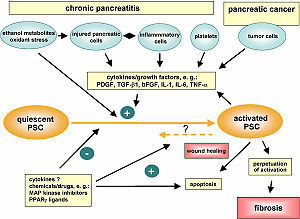 To answer the question, Pfizer launched a phase III clinical trial (NCT00932893; http://clinicaltrials.gov/show/NCT00932893) comparing the safety and anti-tumor activity of PF-02341066 (crizotinib) versus pemetrexed or docetaxel in patients with advanced non-small cell lung cancer harboring a translocation or inversion event involving the ALK gene. Shaw and colleagues (2013) published the results of the clinical trial in a recent issue of New England Journal of Medicine. 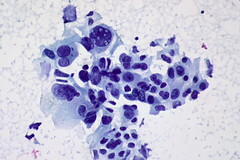 A total of 347 patients with locally advanced or metastatic ALK-positive lung cancer who had received one prior platinum-based regimen were recruited for the trial and patients were randomly assigned to receive oral treatment with crizotinib (250 mg) twice daily or intravenous chemotherapy with either pemetrexed (500 mg per square meter of body-surface area) or docetaxel (75 mg per square meter) every 3 weeks. Patients in the chemotherapy group who had disease progression were permitted to cross over to crizotinib as part of a separate study. The primary end point was progression-free survival. According to the results, the median progression-free survival was 7.7 months in the crizotinib group and 3.0 months in the chemotherapy group. Hazard ratio (HR) for progression or death with crizotinib was 0.49 (95% CI, P<0.001). The response rates were 65% with crizotinib, as compared with 20% with chemotherapy (P<0.001). An interim analysis of overall survival showed no significant improvement with crizotinib as compared with chemotherapy (hazard ratio for death in the crizotinib group, 1.02; 95% CI, P=0.54). Common adverse events associated with crizotinib were visual disorder, gastrointestinal side effects, and elevated liver aminotransferase levels, whereas common adverse events with chemotherapy were fatigue, alopecia, and dyspnea. Patients reported greater reductions in symptoms of lung cancer and greater improvement in global quality of life with crizotinib than with chemotherapy.In conclusion, the results from the trial indicate that crizotinib is superior to standard chemotherapy in patients with previously treated, advanced non–small-cell lung cancer with ALK rearrangement. (Shaw AT, et al, Crizotinib versus Chemotherapy in Advanced ALK-Positive Lung Cancer. N Engl J Med 2013; 20 June, 368:2385-2394; http://www.ncbi.nlm.nih.gov/pubmed/23724913).